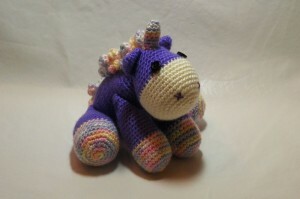 Lil Baby Unicorn | "A Stitch in Time"
As in Ken has NOT given me his resource list… so sit back and enjoy the crafty goodness parade! These fingers have been BUSY!!! 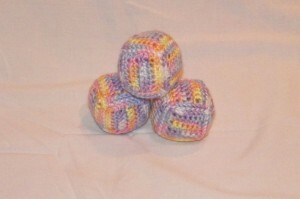 I must say RAVELRY is a godsend AND CrochetSpot a great place for advice and free and pay for patterns. You can access those places HERE and HERE respectively! Now for the craft show! 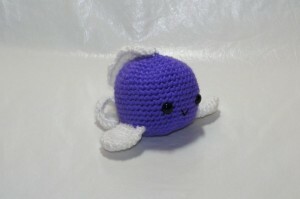 This adorable cuddle toy is thanks to Little Yarn Friends HERE. 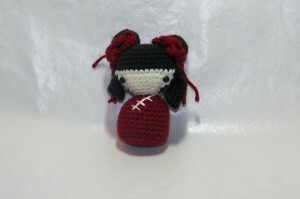 Cuteness is thanks to A for Amigurumi. You can visit their site HERE. The Kokeshi doll is thanks to Studio Ami HERE. 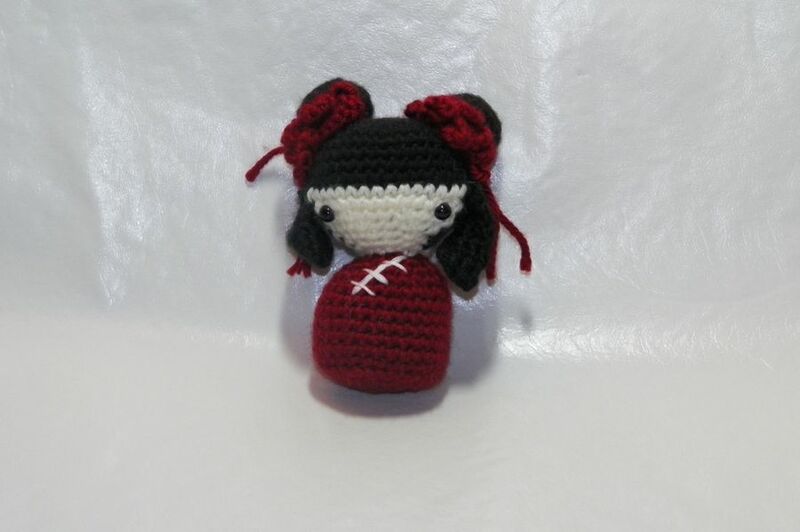 They have some absolutely ADORABLE amigurumi. I am in love with making little deserts. There is a swiss style roll, a marshmallow pudding and a cookie. These are on sale on my Facebook page HERE. 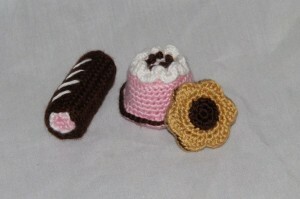 These three deserts are thanks to Creative Crochet Workshop HERE. 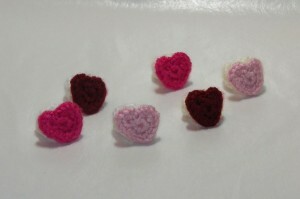 I have done up a bunch of these heart rings. They make great tiny gifts as they ship at a steal. I have these up for sale on Facebook HERE. These sweet crochet rings are thanks to Little Yarn Friends as well (link above). Itty Bitty Lunch. The sandwich is lettuce, tomato and cheese. And for sale on Facebook HERE. 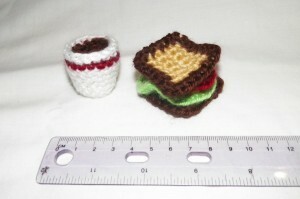 This little snack is thanks to Abigail’s Crochet World HERE on Ravelry. Candy Corn!!! 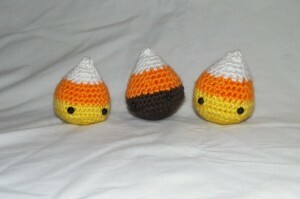 The one in the middle is considered a Thanksgiving themed corn. I love how roly poly these are. They are for sale on Facebook HERE. These amigurumi snacks are thanks to Josephine Wu on Craftsy HERE. 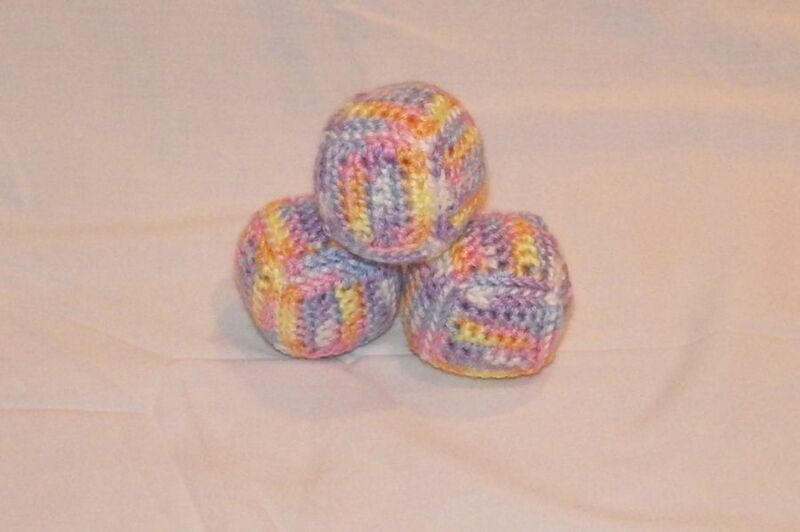 Soft baby blocks. This set of 3 are so sweet. I love variegated yarns. These are not the least bit stiffened so wonderful for any age or to display. For sale on Facebook HERE. This baby friendly design is thanks to CrochetSpot. I totally would recommend them for a membership but also to watch for their freebies HERE. 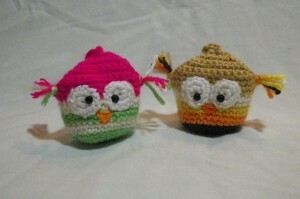 Little owl pouches. Owls seem to be totally in right now. I actually made one of these myself. They are a small pouch with safety eyes (so they do go into the pouch a little bit) there is a button on the back for the loop to latch. I have them for sale on Facebook HERE. These useful items are thanks to 1 Dog Woof HERE. And that is the show! Hope you all enjoyed it!